Vitra Presents Work is a new hall initiated by Vitra, occupied with fifteen partner companies—including purveyors of kitchens, flooring, textiles, wall-panelling and workplace technologies—and presented at Orgatec in 2016. 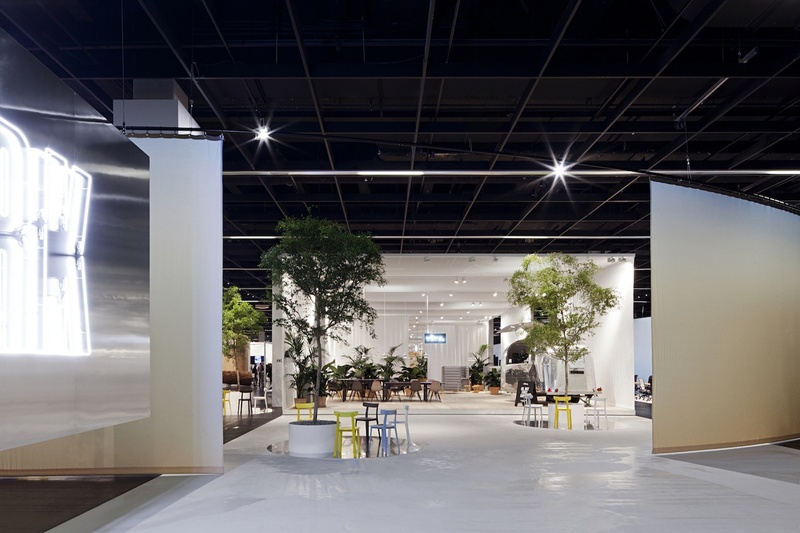 Pernilla Ohrstedt and Jonathan Olivares conceived a master plan and fair concept, imagining the hall as a village of diverse companies united by the high quality of their products and their common interest in the future of the office. The companies are organized around a shared main street and against a continuous backdrop depicting the earth's horizon from dawn until dusk.